NEW DELHI: To mark its 25 years of existence, video conferencing solutions provider Polycom has unveiled innovative collaboration solutions, which it claims will help in productivity gains, time to market, cost control, maximising and attracting the right talent. “Today, we are taking a quantum leap in achieving our vision of unleashing the power of human collaboration. As we celebrate our 25 th year of innovation and leadership, we are announcing breakthrough collaboration experiences that uniquely place people at the heart of collaboration enabling them to work better, smarter and more efficiently. We are delivering the workplace of the future today,” ,” said Peter Leav, President ad Chief Executive Officer, Polycom. Polycom RealPresence Trio is the smart hub for all meeting spaces that transforms the three-point conference phone into a voice, content-sharing and video system that can fit into any team environment. Meetings start quickly with one-touch integration with calendars and participants can easily pair mobile devices or laptops to the RealPresence Trio solution to share content in HD quality. With the addition of a simple webcam, RealPresence Trio can provide a full visual collaboration solution that turns any space into a high-powered work hub. It is priced at $1,599 and will be available from November 2015 in Australia, Canada, Europe, Japan, New Zealand and the United States. Polycom RealPresence Centro is the industry’s first solution purpose-built to put people at the centre of collaboration. Polycom’s patented 360-degree voice and video technology automatically tracks the speaker, while also showing the entire meeting space on the same screen. RealPresence Centro puts those on the far end of the call in the middle of the conversation enabling deeper engagement, quicker decisions and better outcomes. The intuitive touch screens make it simple to get a meeting started on time every time. The RealPresence Centro solution also offers wireless pairing with many devices and has built-in proximity sensors to enable responsive and intelligent interaction. It would be available at $69,900 from February next year. Polycom RealPresence Debut promises to bring enterprise grade video collaboration to the huddle room with a focus on simplicity and affordability. RealPresence Debut has an easy, elegant design that enables high quality visual collaboration for huddle and smaller room environments, as well as for small or medium sized businesses with limited IT resources. It is priced at $ 1,999 and will be available from January 2016. Polycom RealPresence Medialign enables consistent collaboration solutions across the enterprise without the need to alter the room in any way. RealPresence Medialign has a modern, all-in-one design and is the only solution that features Polycom’s industry leading and patented voice, content-sharing/management and video technology. RealPresence Medialign technology can be quickly assembled and installed without tools and interoperates with the broadest array of UC platforms in the market. Like every RealPresence Group Series solution, RealPresence Medialign features NoiseBlock technology, Polycom Acoustic Fence audio technology and Polycom EagleEye Producer and Polycom EagleEye Director camera technology. Meanwhile, the company has officially announced that the industry leading portfolio of Polycom VVX business media phones will be the first phones to support and interoperate with the forthcoming cloud voice service offering as part of Microsoft Office 365 . It would further expand the company’s long-standing relationship with Microsoft and builds on the more than 40 Polycom solutions that deeply integrate with Skype for Business/Microsoft Lync. Earlier this year, Polycom and Microsoft announced a partnership to develop joint solutions for Skype for Business. “People work differently today. And they work in different places. Ideally, technology should allow customers to make any location a mobile workstation. But few solutions on the market today address the business and workflow issues that come with the next generation workplace,” said Ira M. Weinstein, Senior Analyst and Partner at Wainhouse Research. 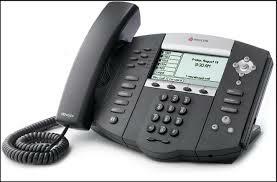 Happy 25th Birthday Polycom! 0 out of 5 based on 0 ratings. 0 user reviews.